It was December 2016 when I was first introduced to the word Lila (pronounced lee-lah). 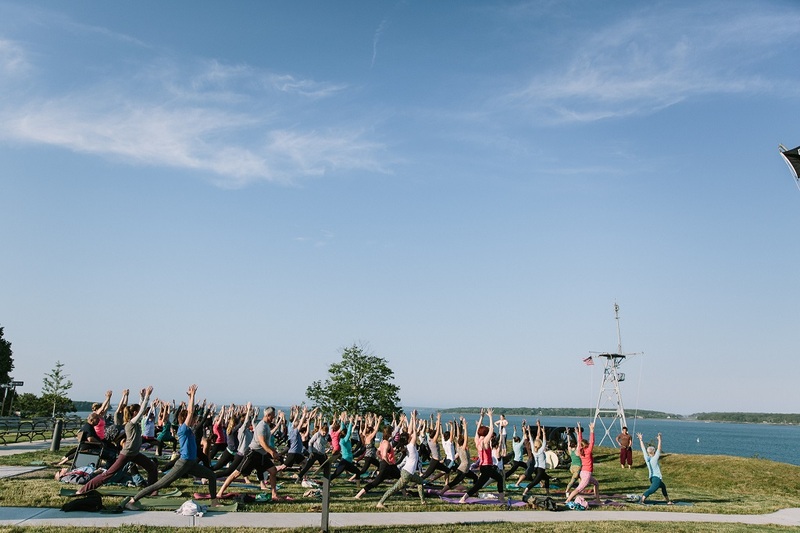 I was a bright eyed student, sitting on the wooden floor of an incensed-bathed yoga studio in Connecticut, waiting for my teachers to share with me my last assignment in my Yoga Teacher Training. When their gaze came my way, the word “Lila” was gifted to me. The task was to learn its meaning, create a class theme that encompassed the essence of the word, and teach an asana based practice. At the time, my young self saw the delight in the gift of this word. Lila means Play. Yes! I thought to myself how this made total sense, of course I would get that word. I saw myself as someone who easily and willingly welcomed in play, laughter, and fun into daily living. For those who know me, you may also know my smile and big eyes. I have a natural exuberance for this life and love the joy that is offered. This seemed like such an appropriate fit for me that came very naturally. That night, I reflected and jotted down notes and began my interpretation of Lila as the need for more play, more spontaneity in our lives, the call to take things less seriously and to smile more. I taught a class that was light, fun, and spontaneous. I asked folks to laugh, to smile, and not take themselves so seriously and delight in the gift of being alive. All of which they did. I remember reflecting in a circle after we taught the class and hearing my teachers say the sequencing was good, but, to explore more depth into the meaning of Lila. I smiled, acknowledged the feedback, and went on my way. It really wasn’t until nearly a decade later that I now can settle deeper into understanding just what they were asking of me. They saw then what I can now see, Lila is much more than smiles and going on random bouts of happiness trips, it is much more all encompassing. As I have aged as a student, a yogi, a mama, and liver of this awe-inspiring and wild ride of life, I have grown to understand that this world holds so much more meaning and context. The traditional images and texts show Lila as the sacred dance of Krishna and the various Gods and Goddesses around a fire. Music is being played, people are dancing, the fire is raging. Spirits are high and there is delight in the scene. But, what we can not see in the imagery displayed is why they are dancing. The dance is one of deep acceptance, of allowing, and of understanding. Lila is not a state of happiness, but, it is an understanding of the conditions of this life. Sometimes referred to as “divine play,” Lila is seeing that the whole complexity of this universe is just a stage for all emotions, actions, reactions, interactions, species to act out… just for the delight of it and nothing else. Nothing is left out on the stage of life. Meaning love and hate, joy and despair, pleasure and pain, love and loss are all a part of the dance of life. By saying yes to the dance of life is saying “yes” I accept all that is. I accept that this life is fleeting, that there will be bumps in the road, that not all life feels like a welcome gift. I allow life to be what it is in its discomfort, I accept that all things shift and change. And, I see that this is all part of the magic contract of life and the beautiful dance of being. What I have grown to understand is that I was seeing one part of the dance very clearly; the part of the dance that had an upward tone and flow. I could clearly see the joy, the fun, the vibrancy in life. The opportunities were abundant, fruitful, and so readily offered. But, what I was not embracing in the dance is the offering and beauty in the sorrow, pain, and suffering. It was much easier to just dance away from those moments, people, or situations. Instead of learning to lean into, to love, and to accept the pain, sorrow, or fear that was part of life, I was keeping my vision up, looking for the joy, and continuing the upward motion path of life. About 16 years ago my father suddenly passed from a heart attack. He was on a run, and just like that, he was in the stars and no longer in bone and flesh on the planet. I was 24 years old at the time. I had dealt with break ups with boyfriends, lost toys, witnessed friends move towns, but, never had I experienced the complexity of such a loss. I reflect back now to this time and think about how I first really stepped into the pulse and the flow of Lila that summer of his passing. I was a bit lost in grief and sadness. I felt a bit numb, angry, and unsure of where to head next. All the while, the universe had another plan for me that summer, and instead of staying in the depth of sorrow, I met the love of my life. I clearly remember in the same breath feeling deep despair and lustful love. This is Lila. We can experience and feel both in the same breath. What would it be like to really, truly embrace the dance of life, in all its offerings? It is one thing to say it, but another to viscerally, emotionally, and wholeheartedly embrace it with open arms. This past year I have stepped closer into relation of accepting and allowing this natural dance of life to unfold. My entire life I have defined myself by the things that my body can do… I am a dancer, I am an athlete, I am an outdoors woman, I am a tri-athlete, I am a runner, I am a yogi. As long as I kept moving, I could stay healthy, fit, and hold a smile on my face. But, as things always shift and change, so did my body, and as a result, a bit of my identity. In November, my back started talking to me in ways that were unfamiliar. It began to lock up, limiting my range of motion. I began to not be able to carry heavy things, or lift and play freely with my young boys, or apply pounding pressure such as going for a run. I stepped way back from my normal activities, slowed things down, shorted my runs, tried to do less. By March I was in incredible sciatic pain, jolts of pain running down from the base of my spine down the whole left side of my leg. My body was begging me to listen, to feel, and really slow down. It is now almost June and I am still feeling tenderness in my spine and sciatic nerve. But, the pain is less intense and the lessons from the journey are many, and still pouring in. I have been able to see the pain in my body as an entry way for me to lean into deep acceptance. Underneath the many smiles, over the last few months I have quieted enough to listen and see layers of sadness, pain, unease that I had stuffed in my body. In seeking the light, I had made a choice to not really see and deal with some of my shadow sides of being. In truth, I too had grief, sadness, fear, sorrow. My go to was to jump up as quick as I could and keep going, running, moving. I do not have a fairy tale ending to share. My body is still signaling me to “pay attention,” sometimes louder than others. But, if I really slow down and listen, things become more and more clear. I share all this not to have you feel sorry for me. Rather, I share this to deepen the understanding of Lila in my life. I share this to maybe connect and relate with you better. Perhaps you can see some of yourself in me? Or myself in others? I share because part of what I have learned over this past year is that in being vulnerable I can create deeper connections with others. In truly being seen, I can more truly see others. I share this with you so you get a context for what Lila is. Lila East End Yoga is a place that is all encompassing. We welcome all of you; the whole of you. It is a place where you can practice being you, feeling you, becoming you. It is a place for us to be vulnerable, real, and in relation. I am so grateful for all of you and what Lila has become because of you. I think back to Mitchel and Tracy Bleier, and Donna, my three teachers at the time, and am so grateful for what they could see that I was not quite ready to see. As great gurus, they allowed the natural process for me to shed light on the dark. This one amazing life has so many turns, curves, and shifts. The one thing that is constant is change. We have a choice on how we see the dance, will we embrace the complexity of the dance? There is deep beauty and understanding in seeing the wholeness of this wild ride of life, in us, around us, and being danced out every moment. It is with an open heart that I say yes to the dance of life… Lila.